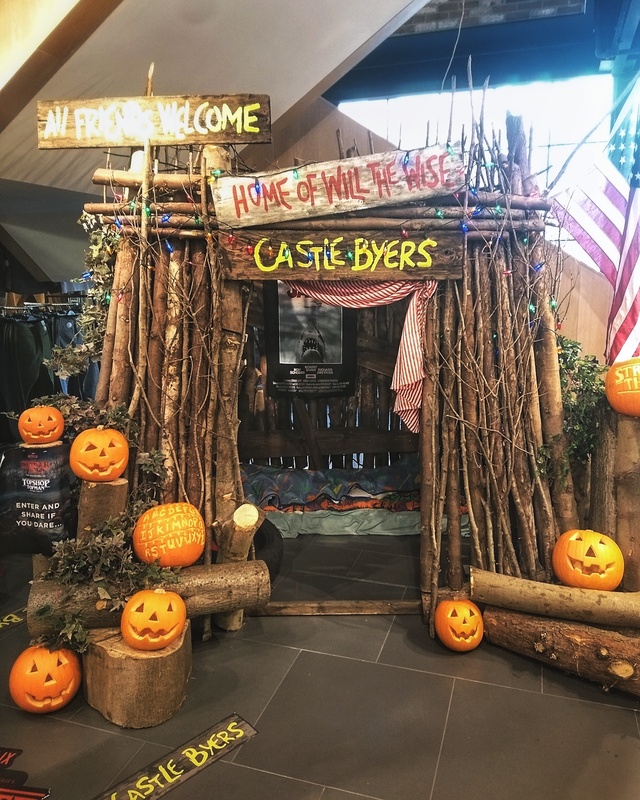 If you saw last week’s post on ‘Stranger Things’ to do in London, you’ll have noticed that the Oxford Circus Topshop in London did something a little special this year for Halloween. 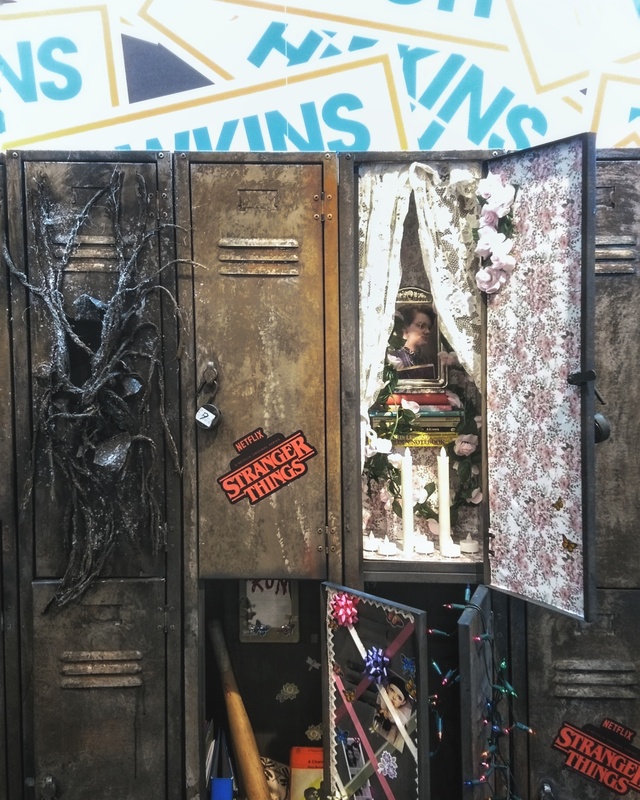 They partnered up with Netflix to create this amazing Stranger Things clothing line, and are promoting it in the best way possible – with an immersive pop-up. 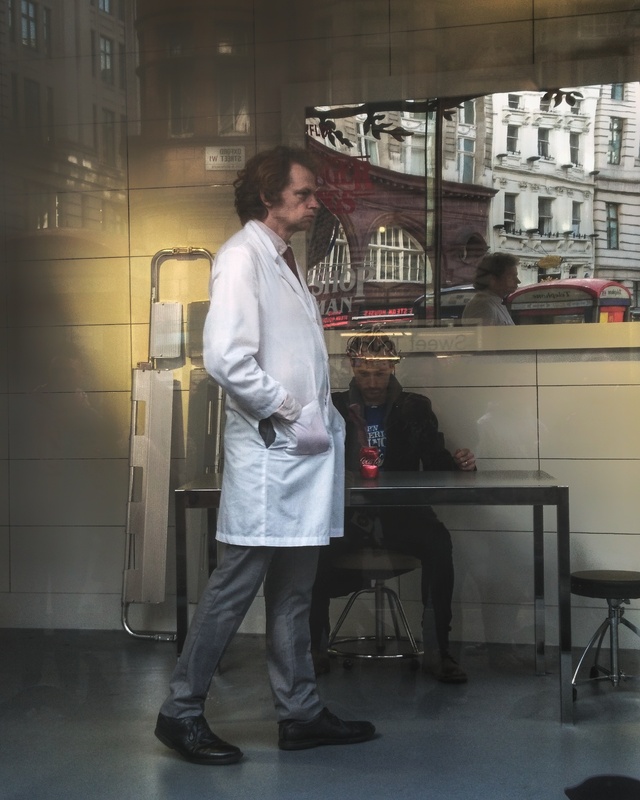 I’m a sucker for TV / movie sets, and since Stranger Things is filmed in Jackson, Georgia – basically a million miles away from where I live – it’s not very likely that I’m going to be visiting Hawkins anytime soon, so I thought Topshop’s version right here in London might be a nice compromise. The only problem is, I’m not really an irl shopper. 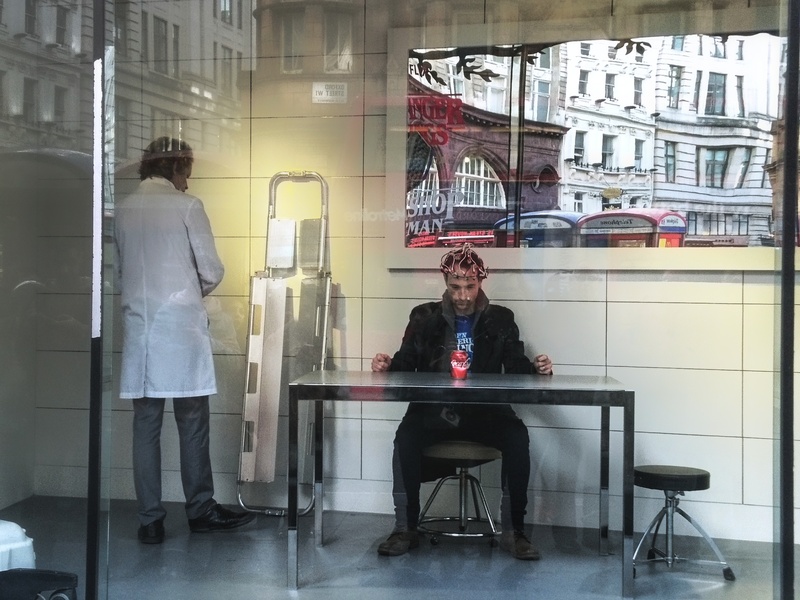 I prefer buying clothes and books, and even groceries online – less people, less noise, less anxiety – so going to any store in Oxford Circus is my idea of hell. Topshop, being this huge 90,000 square foot, five story building, had me biting my nails all morning. But I went anyway – the things we do for fandom. 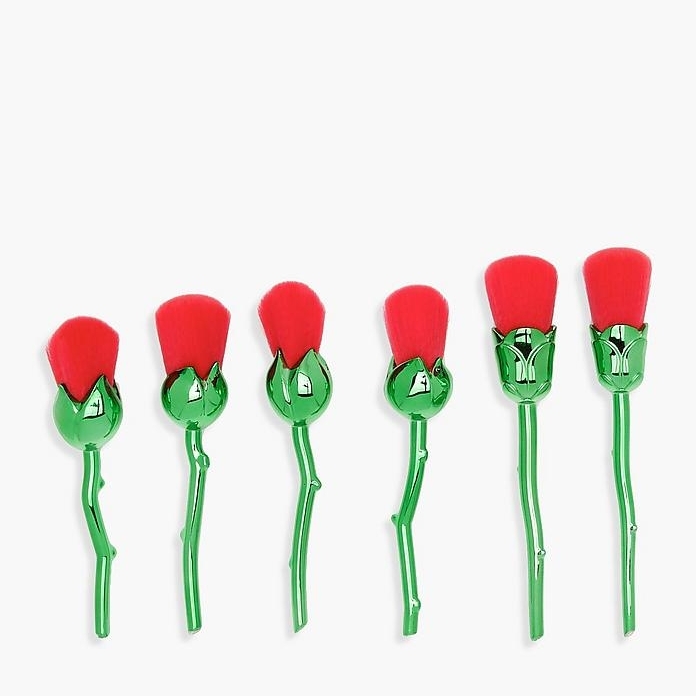 It was pretty hard to miss Topshop. The building loomed over Oxford Circus tube station, looking like something straight out of Stranger Things’ upside down. 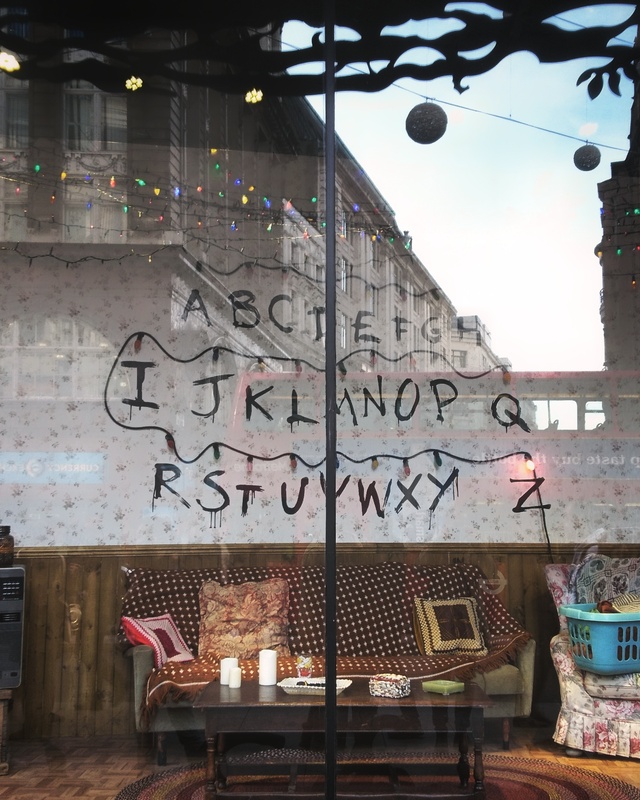 The entire shop face was covered with an eerie black forest, and scenes from the show were set up inside Topshop’s windows – one being Joyce Byers living room, and the other being Hawkins lab with a real doctor and patient. The detail was incredible. The living room, with its dated furniture and television, looked exactly like it did in season 1. 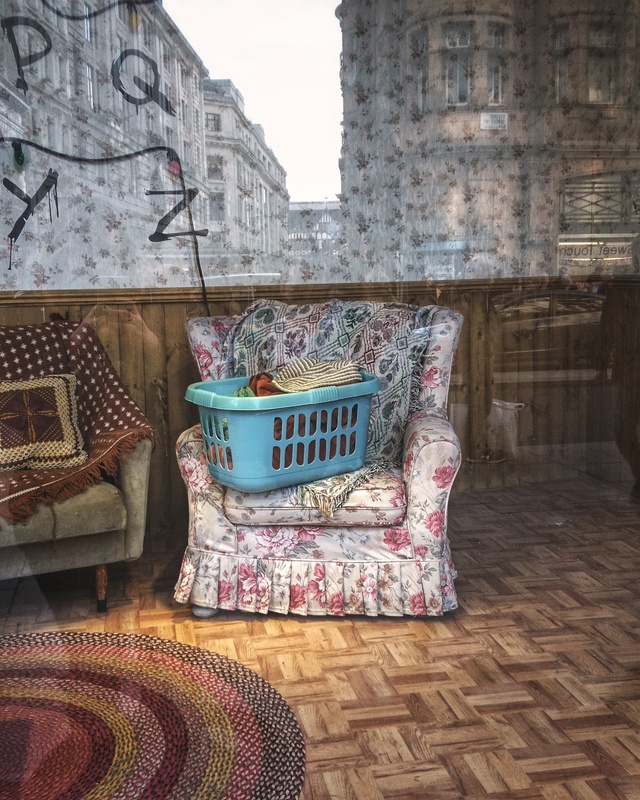 The alphabet scrawled across floral wallpaper was identical to Joyce’s, and there was even a little washing basket filled with 80’s clothing. 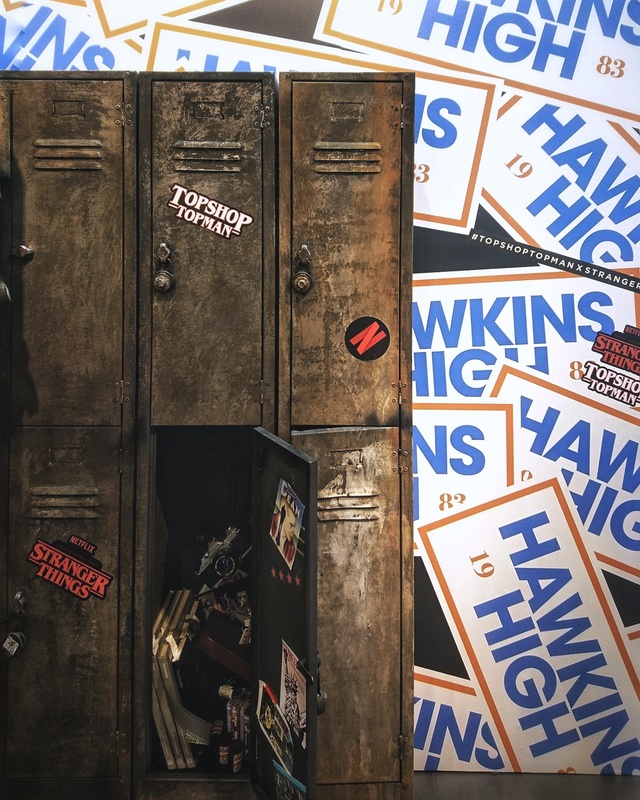 The sets inside Topshop were just as impressive, with Hawkins High being the first I came across. 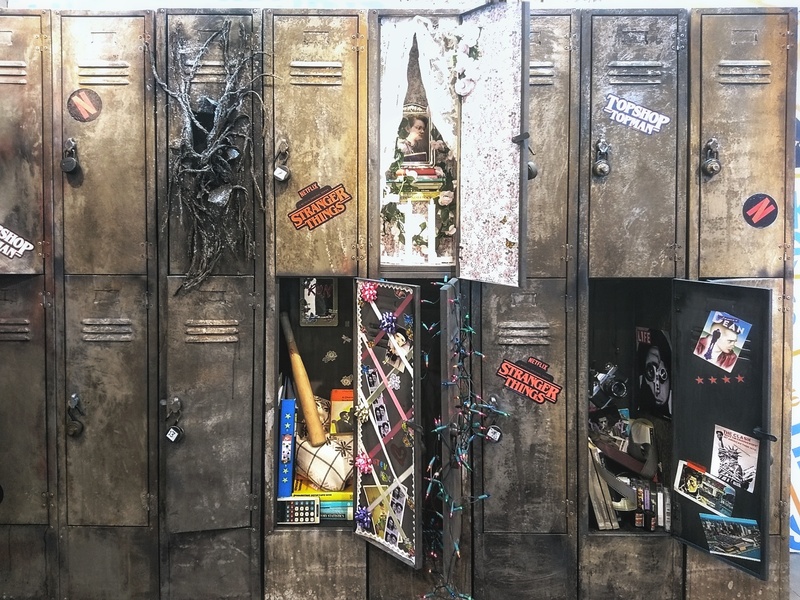 The locker lined wall was to the left of the main entrance, with a few of the lockers open so that you could take a peek inside. One looked like it belonged to Steve, with a baseball bat resting inside, and photos of him and Nancy pasted up on the door. 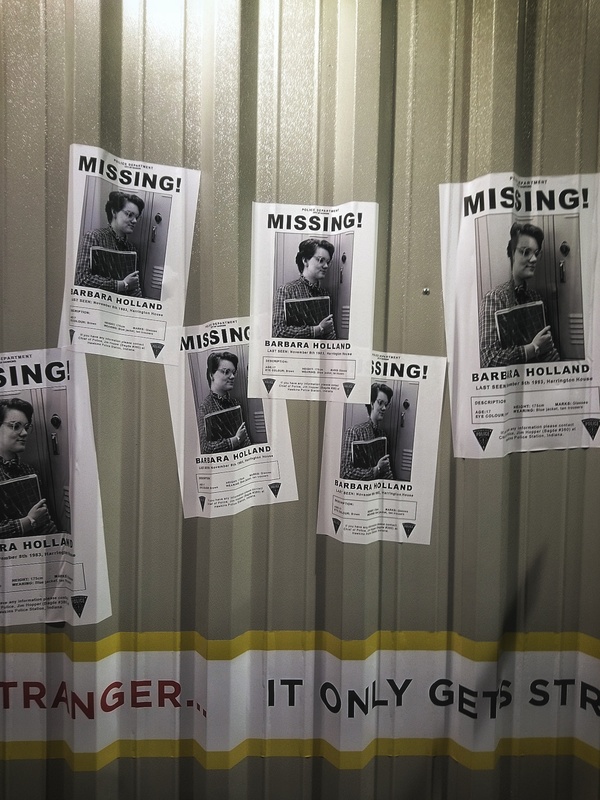 There was also a shrine to Barb – may she rest in peace. The other set was much harder to find. I must have circled Topshop about 3 times until I finally found Castle Byers in the far corner of Topman. The little hut was definitely the best set though. Covered with twigs, ivy and decorated with pumpkins, I could picture Will laying on his retro bedding, flicking through the pages of an X-Men comic. There was even a Jaws poster up on the wall – it was perfect. Apparently there was one more set, the Arcade, but I didn’t manage to find it. 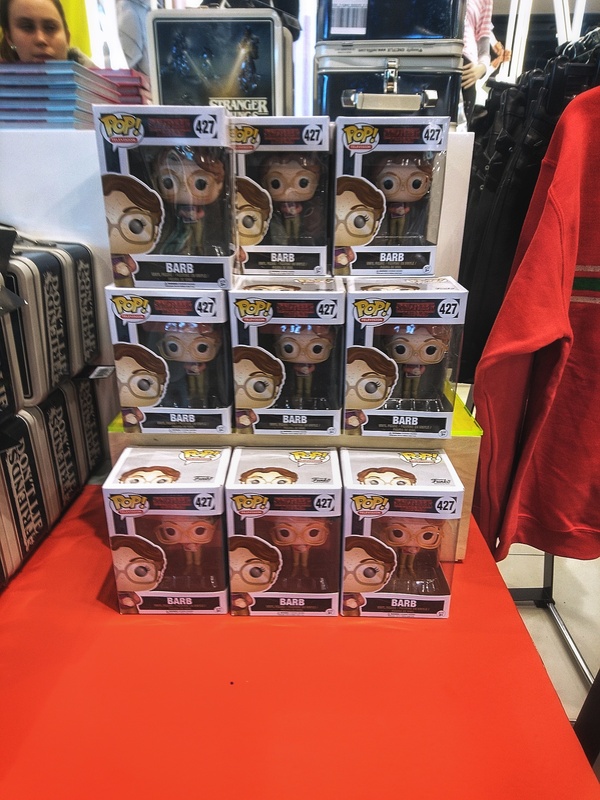 There was also a severe lack of Stranger Things products – nearly everything ST related had been sold out after a few days, which was a little disappointing. 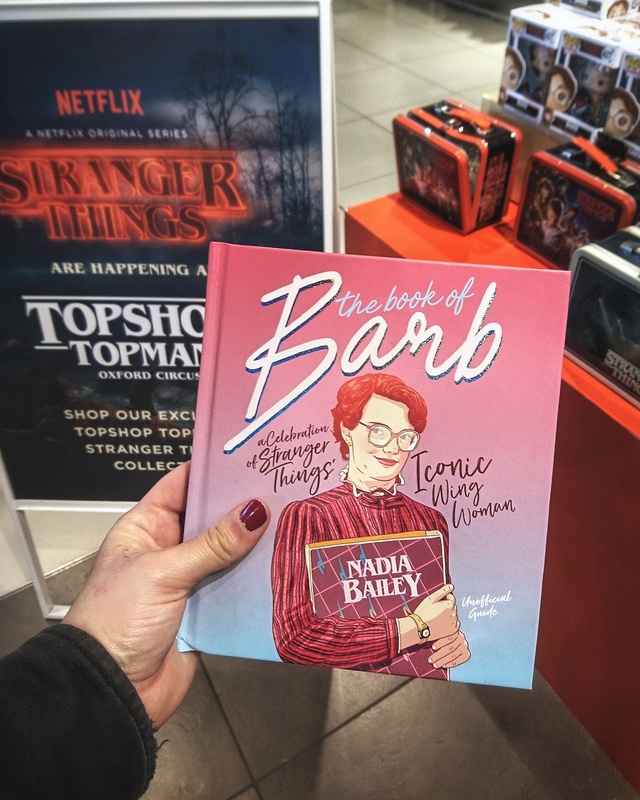 However they did still have the Book of Barb in stock which I was most excited about anyway. Plus, I got to walk around this giant Topshop for the very first time, and didn’t hate it. It’s so big that you hardly ever run into anybody else – which I loved – and they even had their own DJ which I was freaking out about because, what? I’d definitely go back – on one of those rare days that I can deal with people. 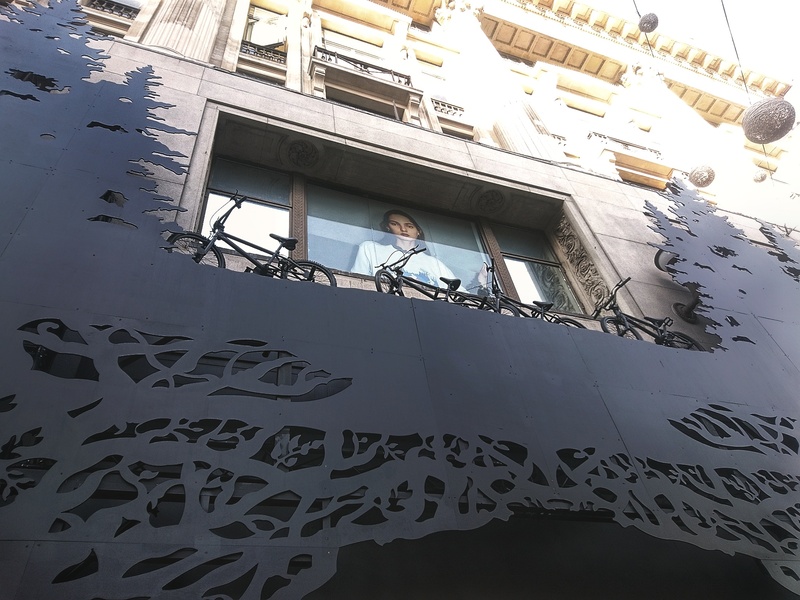 Or if they decide to do another Pop-up and collaborate with Game of Thrones, turning their store into winterfell. 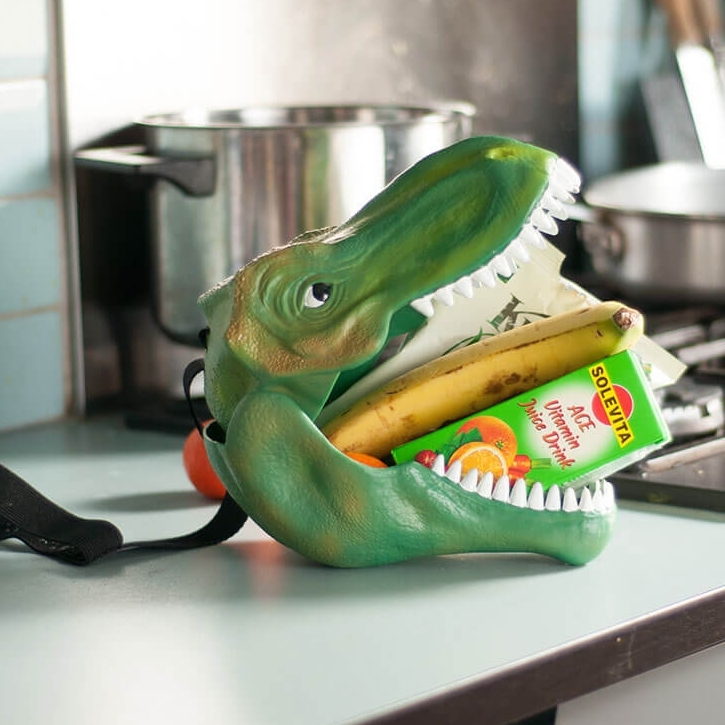 I know what you mean about shopping irl. 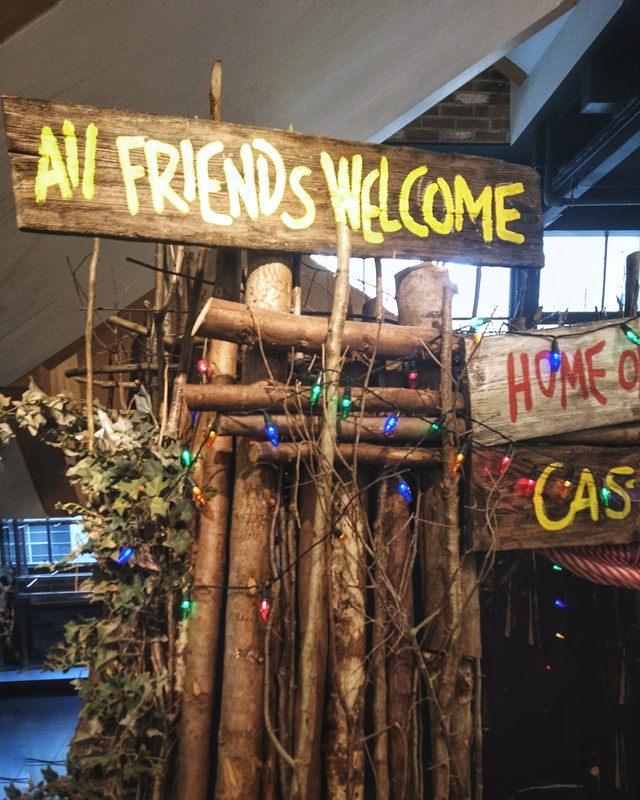 I braved Primark for their Harry Potter pop-up and hated the crowds! 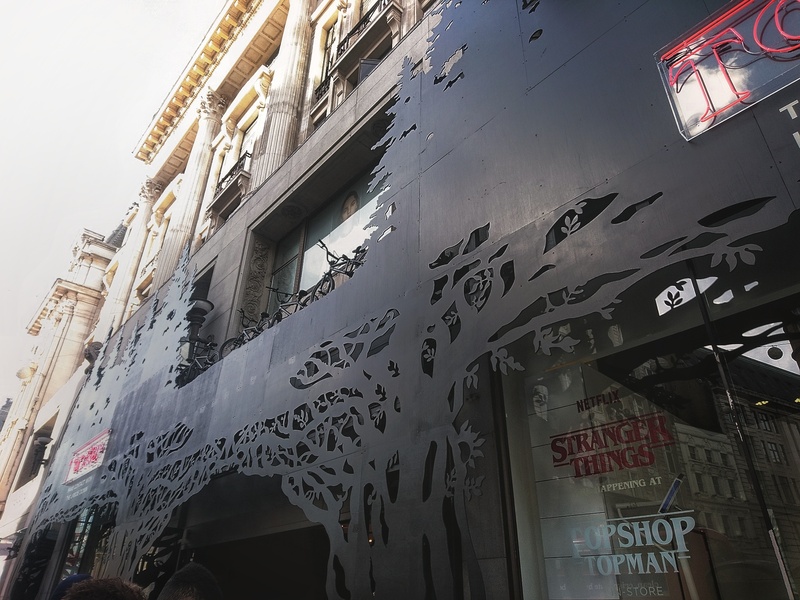 I’m think I’m going to try to brave Primark because the HP pop-up looks amazing, but it’s always the worst!! I completely agree. 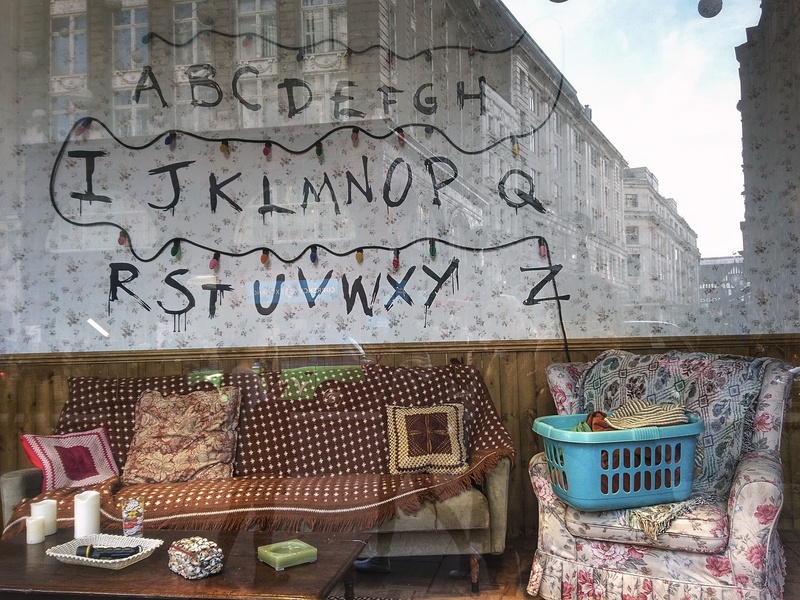 They must have known it was going to be a popular line – I mean Stranger Things is THE show at the moment. That looks like a lot of fun, I’m not a Stranger Things fan, but still it would be cool to see if it was your favorite TV show. Yeah, I’m hoping they’ll do another one soon. Maybe for Westworld or Game of Thrones – both would be quite amazing I feel. Thanks :) and yeah Barb is super cute. Definitely tempted to get her! I haven’t watched Stranger Things but this looks amazing!